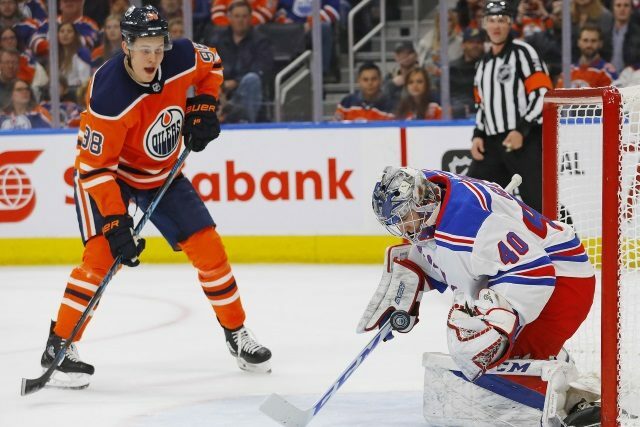 TSN: Darren Dreger on Insider Trading says that tension between the Edmonton Oilers and Jesse Puljujarvi is mounting as Puljujarvi is dropped in the lineup once again, and could possibly be dropped from the lineup. “There’s some media speculation that Puljujarvi might be assigned to the team’s AHL affiliate, the Bakersfield Condors. TSN: Pierre LeBrun on Insider Trading says that it’s not a surprise to the Carolina Hurricanes management that they are having trouble putting the puck in the net. “I think they identified that as an issue coming into the year that they would need to try and go out and get a top-six forward before the trade deadline. Well now there’s a little more pressure on that as the Hurricanes have really struggled. Chris Nichols of Nichols on Hockey: Darren Dreger was on NBCSN and was asked about which teams might have an interest in trading for New York Rangers forward Kevin Hayes, but it might be too early for that. “You’re right, it’s still a little bit early,” began Dreger. in his conversation with host Kathryn Tappen. “But I would have said a month ago that the New York Rangers were more interested in listening to what sort of interest might have been in Kevin Hayes. But the reality is Kevin Hayes is playing pretty well for the New York Rangers right now. There are always teams in the market for centermen, particularly guys who are playing well and are 6-foot-5.